Mighty Force – Poets, Prattlers & Pandemonialists! I have had the pleasure of knowing this lot since 2014/15. Back in 2016 Emma Purshouse, Steve Pottinger and Dave Pitt banded together to form Poets, Prattlers & Pandemonialists, a year later their show was created. It premiered at the Arena Theatre, Wolverhampton in April 2017 before they toured around the country and completed a successful run at the Edinburgh Fringe. “This isn’t just poetry, it’s storytelling, and most importantly it’s theatre. Glorious theatre, framed in a manner which gives space for the work to shine but keeps the audience on the edge of their seats throughout.” – Neil Reading, Director of Arena Theatre. “Excellently framed, excellently delivered. The right amount of peaks, troughs, and misty-eyed bits.” – Matt Panesh, Artistic Director, Edinburgh Free Fringe. “Chaucer with scratchcards.” – Jimmy Andrex, poet. Now these three poets are industrious so alongside their show they created Yes We Cant a night of Spoken Word at Pretty Bricks in Walsall, a pub that does indeed have pretty bricks. I was fortunate enough to make their opening night back in June, Jonny Fluffypunk and Paul Francis headlined and it was fabulous! Fast forward almost a year and this monthly event is still going strong. And earlier this year the Wolverhampton Poetry collective announced a new project to raise the profile of poetry in and of the Black Country. They managed to obtain an Arts Council grant which enabled them to roll out a whole programme and get other local artists involved. The Black Country Broadsheet was produced which includes commissioned poems, videos have been made and professional photo shoots have been enjoyed. are the other poets commissioned for the project (see Rick, you got your commission, no more writing about fake ones). 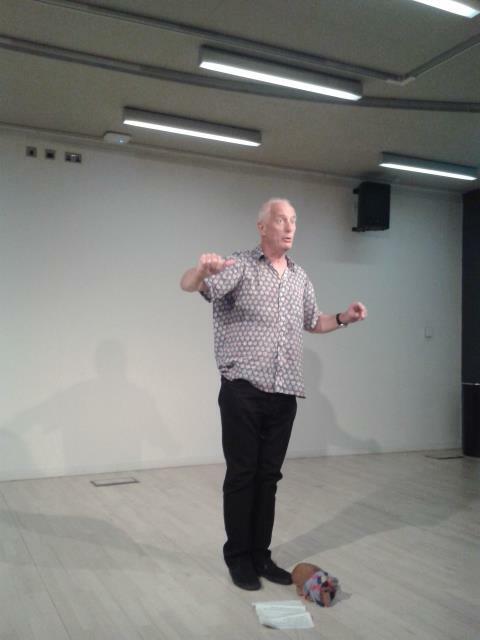 Poet Steve Pottinger said: ‘This project is all about taking poetry to people who don’t think they like it, who don’t know it’s being written and performed in pubs and clubs around them, and who may never have attended or enjoyed a live event. The project showcases the poets across 5 free events and has done just what they hoped it would. New poets have been found, some bravely taking to the mic for the first time (and blowing us out of the water!) and new to poetry people have decided it is not a bad night out after all. Due to a hectic work schedule, editing, writing and NaPoWriMo (I can hear Dave Pitt chuckling), I was not able to make the earlier dates. But watched as the internet steamed away on adrenaline filled reviews and knew that I had to catch this wave. So Stourbridge was penned in the diary and despite being truly creamed by work, I went! They were all in a similar state having lived the highlights of Swindon the night before at Oooh Beehive. Despite this, energy was not lacking as Dave MCed us through an incredible night of words. I have not made a PTS for some months and it was great to be back in this wonderful venue, sitting next to Rob who was enjoying a night off from jumping up and down on stage and instead was able to enjoy the evening. Everyone performed phenomenally well and it was great to see/hear new talent too. 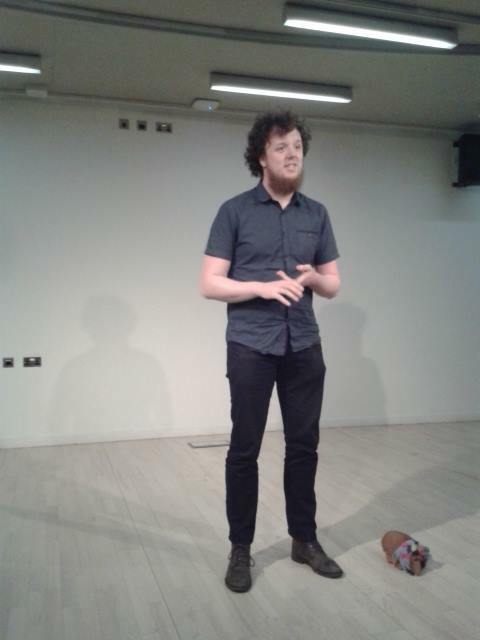 Mogs performed a brilliantly funny set as always, treating us to some of the best from his book of children’s poetry. It was great to catch a whole set from R.M. Francis, thoroughly enjoyed and I realised it had been a while since I experienced Rob’s poetry back to back, good to hear him in full flow again. Casey Bailey was his usual, incredible self. Playing his adopted by Wednesbury card to pacify the Brummie in the room situation and celebrated his latest collection ‘Adjusted’. It was an incredible night and I am so glad Claire Walker sent a message saying she was going because it has been ages (or at least feels that way) since we caught up and was lovely sharing such a special night with friends. 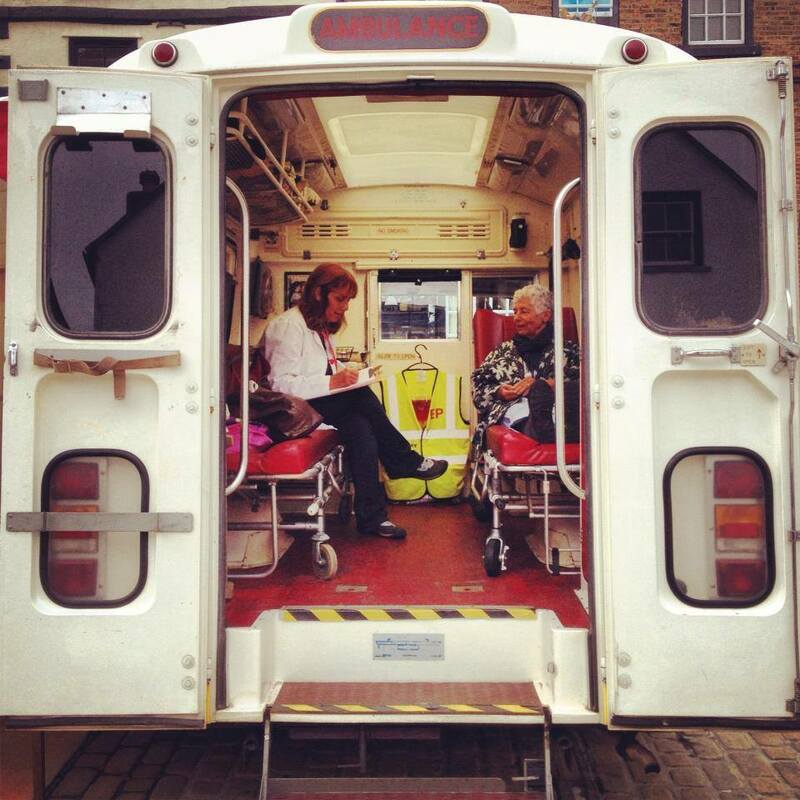 Plus Claire and I are booking some special work of our own in, we hope before the summer. 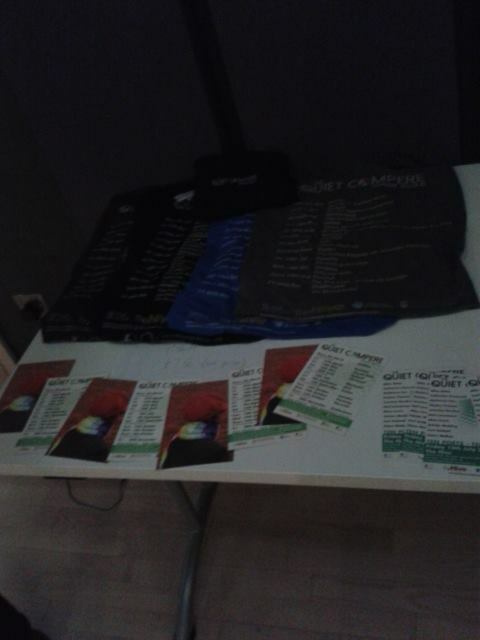 I shared 3 of my 30 NaPo poems and a t-shirt quip. Shame I wasn’t wearing a poetry t-shirt, that would have won battle of the bands for sure! Great to catch up with a room full of poetry friends and to be back in the Black Country, to see first hand one of the 5 events in this programme and to be able to tell them what an epic group of poets they are on feedback forms (well, if you do go and get Arts Council funding). I may not have written the word epic but I said some very pleasant things that I know someone else magpied (stole) for their feedback form. If you can, catch the next one on the 15th May, you will NOT be disappointed! And if you want to catch their original show head over to Stoke-on-Trent. 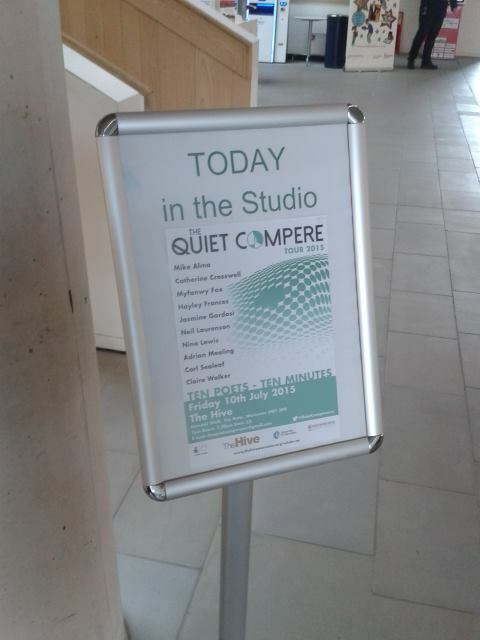 The Quiet Compere Tour was a great success for Sarah Dixon in 2014 and what started as a tour of poets in the North of England spread as far as the Midlands. 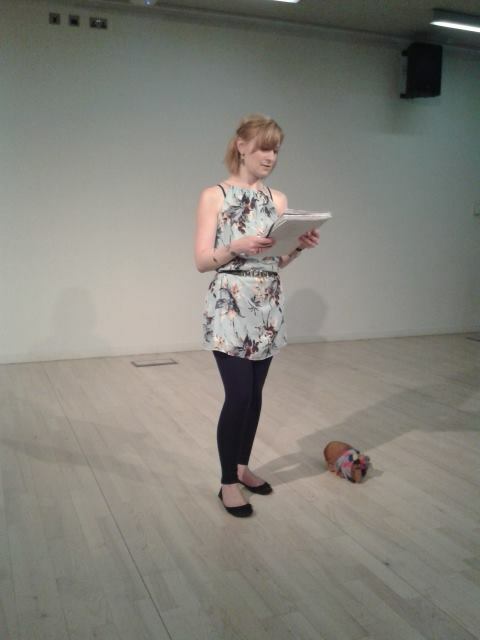 Following her success Sarah applied for a 2nd Arts Council Grant to continue the tour across the UK this year. We were booked prior to funding and kept our fingers crossed. It is my longest awaited gig and due to funding, poets were paid – something that doesn’t happen often enough and is always a pleasure! I was incredibly excited and worked on what would be part of my set for some time. This tour stop was one in which I knew all my fellow performers and we knew a lot of each other’s work, so it felt a little different to my first exposure to the QC back in 2014, watching the 10 magnificent performers at the MAC. It was incredibly exciting to be part of the tour and I was delighted when fellow poets mentioned statistics from my interview with Sarah in introductions to their sets. Ten minutes flies by when you are part of a collective set, most of my headline slots have been 15+ minutes and the pressure of those feels a lot longer than the extra 5 minutes. 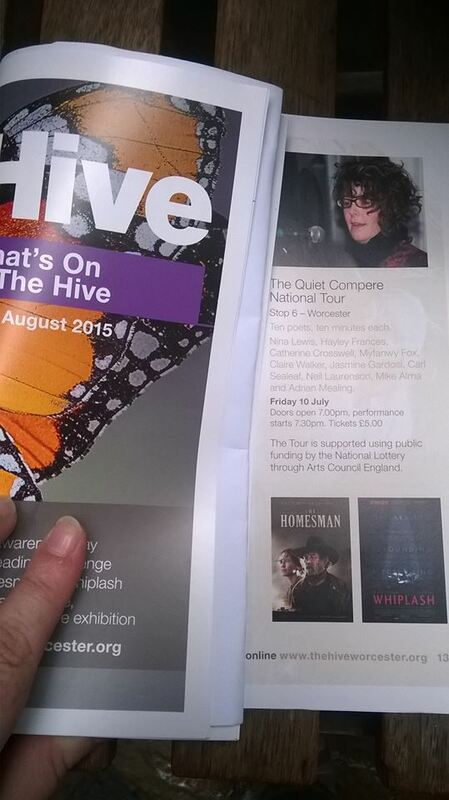 My first spark of excitement came when I saw our names in The Hive programme. Before I knew it the day arrived – I knew it was a mistake to take work on the day, but needs must – so I spent the whole day run ragged by 4 year olds and arrived home in time to get ready and grab some food and GO! No time to feel the pressure, after my Poet Laureate experience, I decided this was for best. Sarah is exceptionally professional, kind and always seems magnificently calm! On the day she had to deal with a change if line-up, sadly missed was Hayley Frances, I was particularly looking forward to her set because although I saw her a lot 2013/14 I have only seen her perform at the Poet Laureate final, Birmingham Literature Festival 2013. 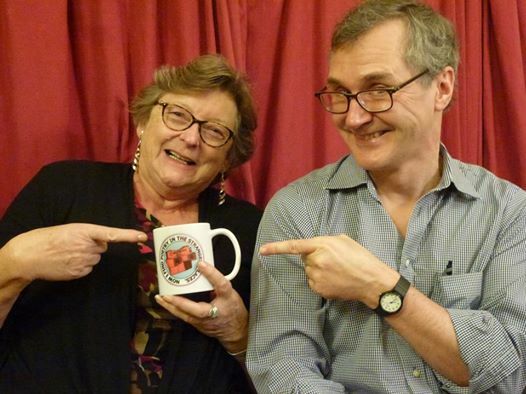 Clive Dee bravely stepped up to the mark… well once you have performed on the same night as John Hegley! I arrived to find that the ‘Green Room’ was the Oasis Room, which was great as this is the new venue for Writing West Midlands, ground floor and very yellow! They are never green. Sarah Dixon and Steve Wilson (Arts Officer) who I met properly for the first time at the Worcestershire Poet Laureate finals in June greeted me and after some time in the Green Room, I wandered off to find the other poets were all having coffee and cake in the café of course, others were playing in the library, there are some great kids spaces in the walls, small nooks to read books, appreciated by the poets small enough to make use of the spaces. I bought a QC t-shirt, a forever memory from the merch table and before long it was time to get the show on the road. 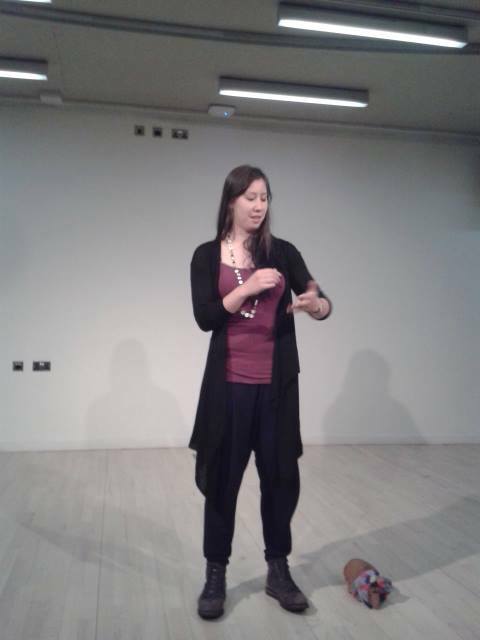 Sarah Dixon, introducing and performing her own poetry too, including some great words about Frank and from Frank (her young son). Always a pleasure to listen to, and since her return to theatre last year, someone who I don’t get to see perform as often as I would like, she performed at Ledbury Poetry Festival this year too. A perfect start to the evening! Mike has written about the war and shared his war poems since 2013, he and I talked of books in my early days and I am delighted he chose to self publish his collection ‘Fragments of a Great War’. He performed a set of some of his best poems, about butterflies, twin brothers and war. 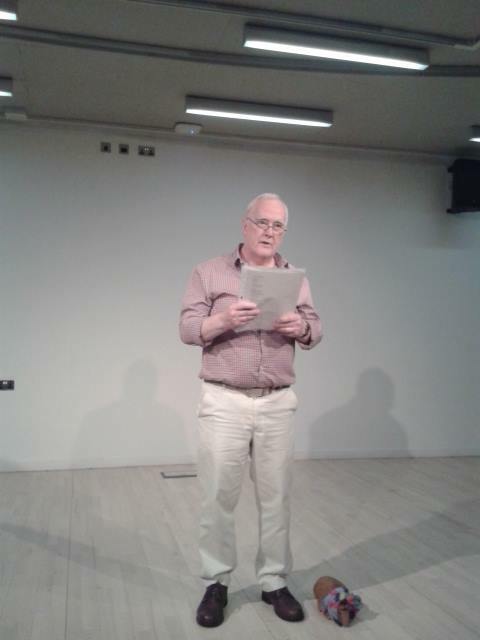 He performed Letters to a Soldier at the Front with the help of Moira and using two voices made it a powerful reading. always make me want to shut my eyes. Neil writes witty, short, satirical poetry. I first met him in 2014 at Speakeasy and he was at Wenlock Poetry Festival as part of a Silhouette Press event. Another strong force in the world of music and poetry, someone else who I don’t see nearly enough of. He shared as we hung on every word. A man who is a master of humour, wordplay and talking about allotment produce, whenever encouraged. My dear poetry friend who has her first collection/pamphlet coming out this Autumn. 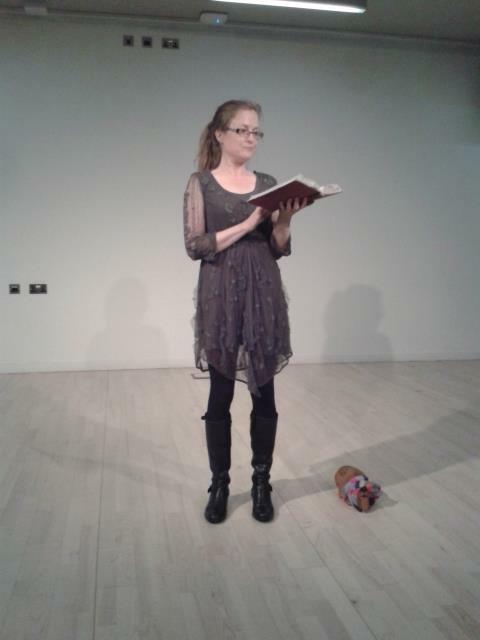 She read beautifully as always, understated – despite her poetry being constantly worth underlining. Her poetry is beautiful, gently strong and filled with love. Another favourite of mine, I met him back in early 2014 and had not seen him for ages until I went to Jasmine Gardosi’s OPUS CLUB night and we were reunited. He is an amazing bloke and a great ambassador for Poetry. He shared some incredibly strong poetry, words we needed to here. Crisis and our part to play. Poignant poetry – I used to love his Haikus but nowadays without the brevity of word count he can pack the same punch! It was a fabulous night and we all left on a real high. Thanks Sarah for asking me to be involved. 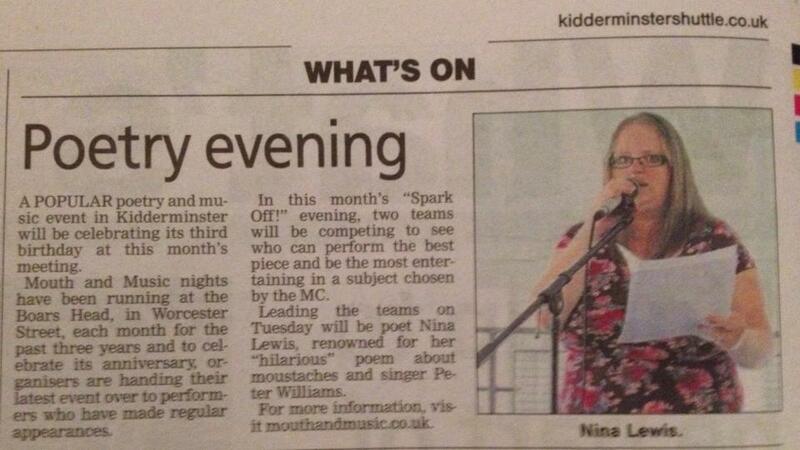 A week of poetry; getting it published, reading it, writing to form and performing as a Headline act. A busy and rewarding week with some full (much needed) writing days. The first weekend I was without my car and missed The Ort with Debbie Aldous in Birmingham, the end of Cheltenham Festival, Caldmore Writing workshop with David Calcutt and Confab Cabaret in Malvern with Matt Windle ‘Poet with Punch’ and Kurly, who I recently saw perform at SpeakEasy in Worcester, which is where I will have to catch him again when he Headlines. I spent time catching up with my MOOC course, writing poetry, reading poetry and preparing this weekend’s writing session for WWM, as Ian is away and I get to be Lead Writer again. I submitted to the Seamus Heaney anthology and had a poem accepted, to be published in print form later this year. I booked tickets for the 52 event as part of Stratford Poetry Festival and emailed a couple of poets about Guest Blog posts. Performance wise I had just the one gig, it had been a week since I performed and I also (made what I have since learnt is a mistake) took a set with 80% new material to Headline at Permission to Speak, the Scary Canary – a wonderful new spoken word night created and hosted by Rob Francis. I was headlining alongside the ever talented Ian Passey, a.k.a Humdrum Express. 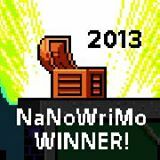 I complete my week working with the Senior writing group at The Hive. 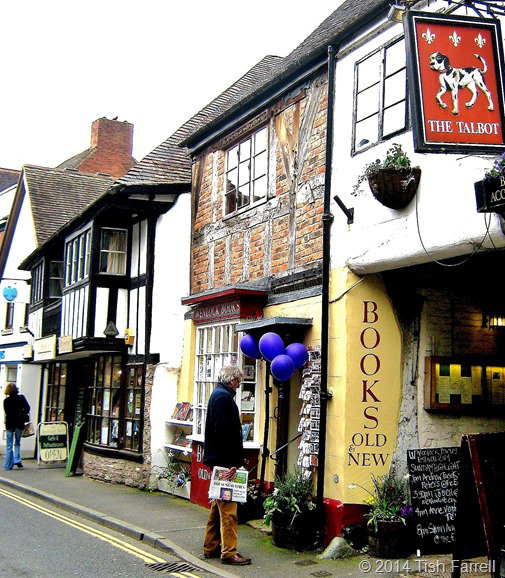 I LOVE WENLOCK POETRY FESTIVAL – it is such a great programme and a lovely town too. I dream of a year when I can book in and make a weekend of it. Last year I went alone, on the Sunday and bumped into lots of people I knew. This year there were so many people going that I knew, it was part festival, part reunion. The programme as ever was a delight with so much choice. Claire Walker and I spent a while with the decision of which events to book, we had a limited budget as we had to get there and wanted to buy people’s poetry on the day. There were lots of events I would have loved to attend on the Sunday including workshops, I had half a mind (a silly notion) that after driving to Wenlock and back I would have the energy for Cheltenham Festival the next day. Truth – my Sunday was a day of recovery and had I been at the festival would have probably missed the morning! We were about to set off when we heard from our friend Kathy Gee, she’d arrived! We were only about an hour away. We hoped to meet up with her in the morning, but reception and signal are two things that Wenlock is not great for, we managed a quick conversation outside the bookshop, © 2014 Tish Farrell she was in the pottery going to see Kei Miller. A poet I recently discovered at a workshop in Stratford-Upon-Avon. Claire I started out at The Edge (Arts Centre), perused the book stall and bumped into Hannah Lowe, who was an inspiration to Claire when she started writing, great meeting your heroes in the first half hour. We dipped into the poetry film and then decided to walk down to the town. We bumped into Mogs (who had come 2nd in the Wenlock Poetry Slam the night before, the winner this year was Paul Francis). We saw Jo Bell, Jean Atkin and Emma Watkinson, love the fact you just see poets walking about on the streets of Wenlock. 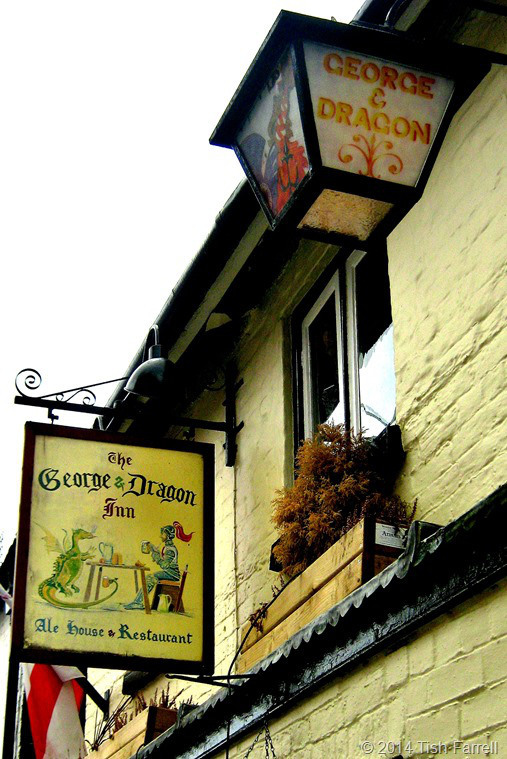 We went to George and Dragon for lunch and the open mic Poems & Pints hosted by Mark Niel. 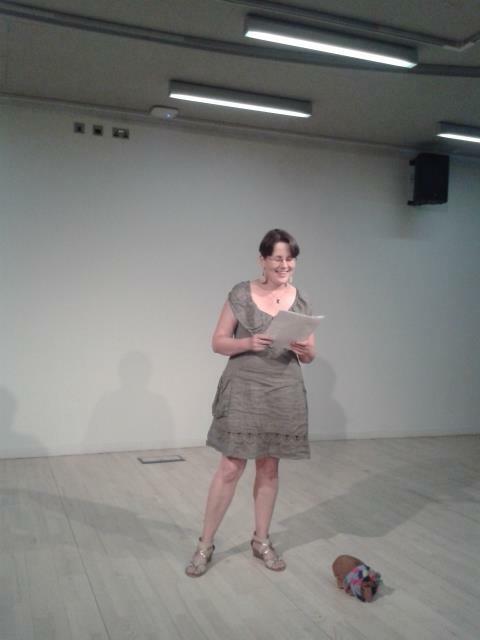 I read two poems, the first one competing with two noisy dogs barking at each other. Tough crowd. I wasn’t stopped in the street this year but I thoroughly enjoyed the event and listening to all the poetry. After this we walked up to the Pottery for our first ticketed event – 52. 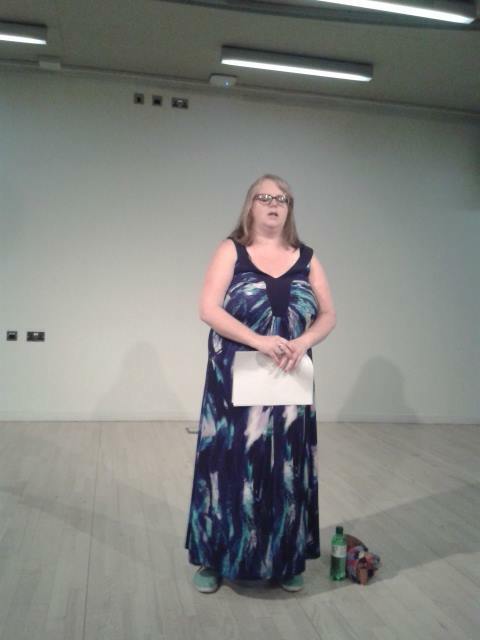 For the 52 weeks of 2014, Jo Bell ran online poetry group 52 under the banner “Write a poem a week. Start now. Keep going.” A unique brand of collective critical encouragement generated the largest workshopping group in the world. 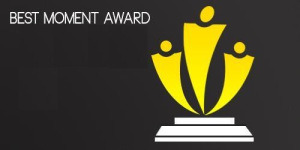 The resulting community has claimed prizes and publications ranging from Bridport to the Rialto, from the Charles Causley prize to valued fellowships and PhD places. Join some of the 52ers including organisers Jo Bell and Norman Hadley for a celebratory reading, and to hear work from a new anthology published by our publisher in residence, Nine Arches Press. I was not prepared for how emotional reuniting with everyone was let alone the event itself – and of course the aftermath of packs of 52ers let loose on Wenlock once more. It was the best party atmosphere ever. Even greater than the initial impact of Stratford Poetry Festival 2014, where we were strangers. We all piled into the Pottery, Norman Hadley (Head Boy) Master of Ceremonies and he did such a grand job, he got through all the names in the hat – those of us who had read last year in Stratford and those who hadn’t (who went first of course)! It was emotional. He made Jo Bell get up and speak at the end too. 52 and the extended prompts of Norman has recently come to an end and I think we all feel it a bit. 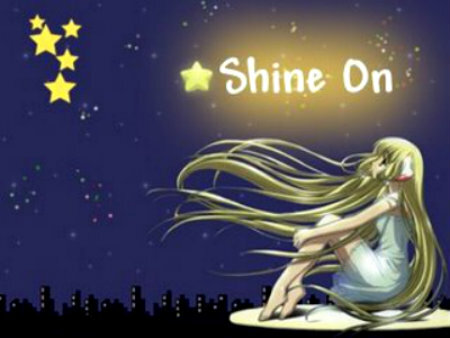 Thank goodness for Hannah Linden who founded a group for us to continue sharing our successes and the community. After the event a bunch of us 52ers went to the Poetry Café and I popped in to see Deborah Alma, The Emergency Poet, on the way, to pick up a prescription to draw me to the ocean. In the Poetry Café I saw Jean Atkin, Poet in Residence at the festival and bought a much sought after copy of Luck’s Weight. The book of poems alongside Andrew Fusek Peters which grew out of her Acton Scott Farm residency 2014. Then it was back to The Edge for the rest of our events. 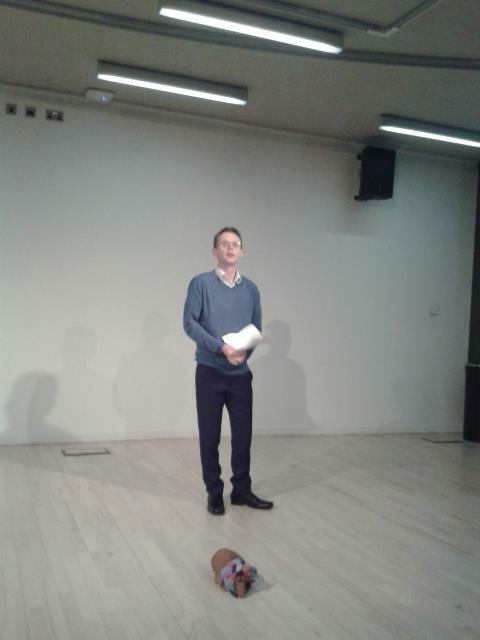 Jonathan Edwards – Costa Poetry Prize Winner– his event was great. 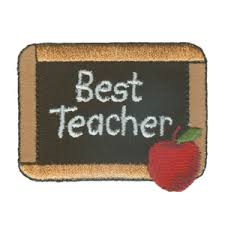 I am inspired that, like me, he is a teacher too. The opportunity to hear the Costa Poetry Prize winner for 2014 Jonathan Edwards reading from his prize winning debut collection ‘My Family and other Superheroes’, and talking to Anna Dreda about his Costa win. Jonathan Edwards’s first collection, My Family and Other Superheroes (Seren) won the Costa Poetry Award 2014 and was shortlisted for the Fenton Aldeburgh First Collection Prize 2014. He won the Terry Hetherington Award for young Welsh writers in 2010, received a Literature Wales New Writer’s Bursary in 2011, and in 2012 won prizes in the Cardiff International Poetry Competition and the Basil Bunting Award. He won the Ledbury Poetry Festival Competition in 2014. 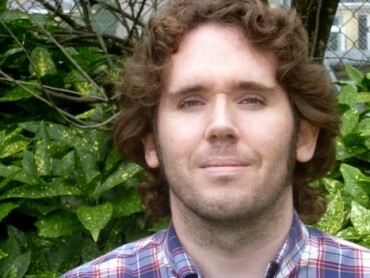 His work has appeared in a wide range of magazines, including Poetry Review, Poetry Wales, New Welsh Review and The North. We warmly welcome The Canal Laureate, Jo Bell, described by Dame Carol Ann Duffy as “one of the most exciting poets writing today,” alongside the illuminating and sharp-minded Robert Peake to Wenlock for 2015. ‘The Knowledge’ by Robert Peake is a stunning a collection of stirring and delicately attuned poems that not only roam but actively seek – travelling to all manner of places but also moving through time, taking leaps of faith or journeys into memory and sensation. A wonderful start to your festival evening! It was great to finally get my hands on a copy of Kith and to speak with Jo, although I missed the evening catch up over Curry as I was at another event. I will make sure we get to speak at Stratford! It was great to meet Robert, the man behind the Transatlantic Poetry sessions I have enjoyed this year. and Hollie McNish to finish the night off. This April, the extremely talented Hollie McNish will be hitting the road once again, after her first UK tour in October 2014 sold out across the country. She has now added a further 12 dates, including Wenlock. 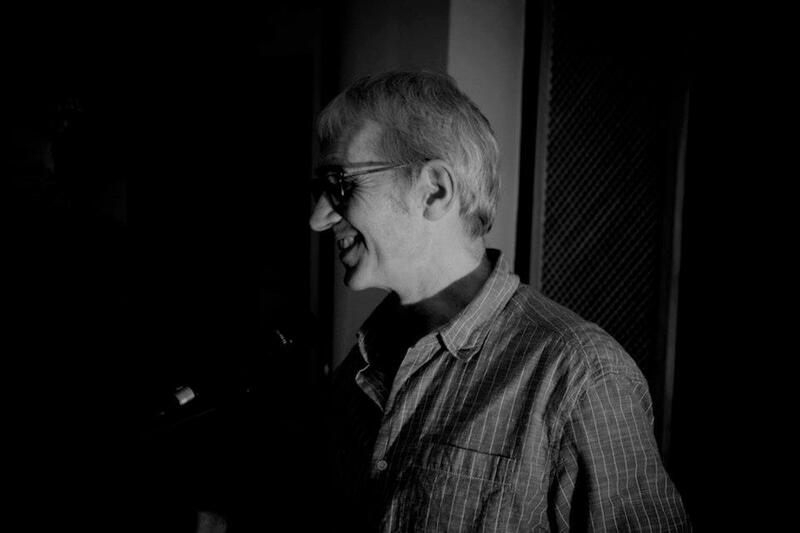 The gig will be an hour of pure unadulterated poetry, spanning two albums and one book, to be released March 2015. A true festival gem! Hollie is a UK poet who straddles the boundaries between the literary, poetic and pop scenes. She has garnered titles like “chick of the week” (MTV), “internet sensation” (Best Daily)” , “really, really amazing” (Davina McCall) and poet Benjamin Zephaniah stated “I can’t take my ears off her”. Her poem “Embarrassed” was tweeted to fans by renowned singer Pink. Her album Versus was released in October 2014, recorded at Abbey Road Studios, London. It was a bonus to see a set from Emma Purshouse too. Other highlights included buying MyFanwy Fox’s collection and falling over at the feet of Liz Berry, bless her. Mostly, discovering a festival that doesn’t just repeat the success of the previous year, but builds on it. I had a great Poetry Day and I look forward to next year! I am incredibly busy at the moment and don’t have the hours needed to blog spare, so for a while I am going to follow suit and do what other busy bloggers do – reduce my week into a wrap post. 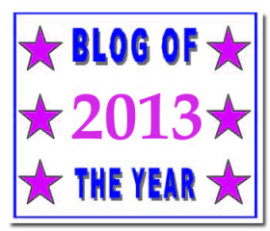 The absolutely amazing writing life happenings will still get a individual post though. This week I have been working full-time as well as organising sets, writing new poetry and working on several projects. My MOOC course with the University of Iowa finally started! Postponed since March. It has been a worthwhile move so far and has created several pages of poetry. I continue to write poetry for NaPoWriMo – although I realise I have not blogged any extracts of these yet. Caldmore Garden Poets are working on a collaborative piece for the Carnival (and later in the summer, a festival). 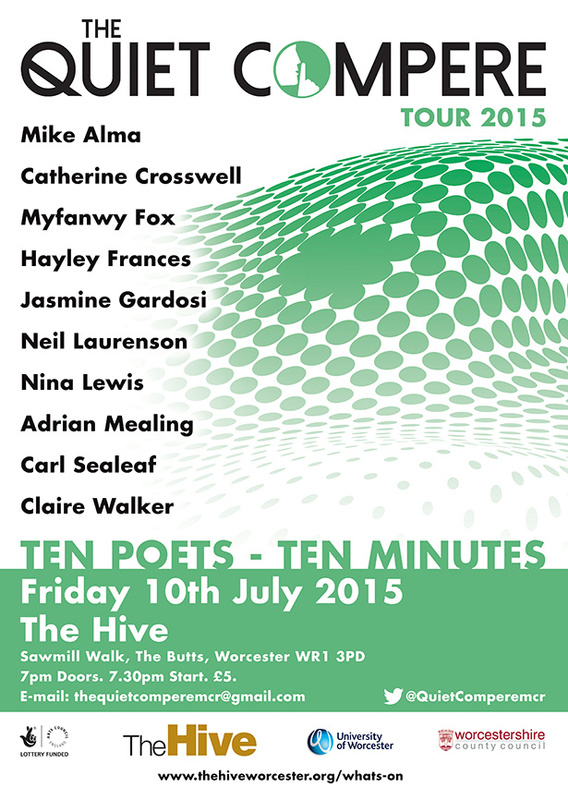 Unfortunately, I can’t make the Performance as I have my final WWM writers group on the 13th before the summer break. I am also sending David Calcutt workshop poetry to be published on his Natural Histories website. This week two opportunities suddenly arose and I submitted a commission proposal for a summer festival and made a bid/application for another event. I am looking to Wenlock Poetry Festival this weekend. Before that I am reading at a Book event for Restless Bones Poetry Anthology in Birmingham tonight, attending a meeting with Writing West Midlands, hoping to catch ‘Men In General’ tomorrow night on their Worcester leg of the tour, back to Birmingham Friday night for Ddotti Bluebell and Jasmine Gardosi’s Word Up event where Sarah Dixon (Quiet Compere) is headlining alongside Bobby Parker and Jackie Smallbridge (Scrubber Jack). On Sunday I am tempted to get over to Cheltenham Poetry Festival to see Sarah James & Angela Topping and also Math Jones. I am not sure I will have enough energy for that though – especially as I have full time work at the beginning of next week in an incredibly challenging environment. as mothers, we can best meet the demands of family life whilst still pursuing our own creative projects. I would highly recommend this events if you can get to the Cheltenham Poetry Festival. There is a wealth of great events in the festival programme this year. It is just a shame it clashes with Wenlock Poetry Festival too. Next week I am going to the to see Rachel Kelly, Susanna Howard and Jill Fraser. I am going with mum, who switched me onto Rachel Kelly’s book to begin with. Wednesday I am performing at an Open Mic, Thursday sees some writing deadlines. I will also be completed Napowrimo, writing assignments for my MOOC and preparing my next Headline set and planning for the next WWM group which I have the delight of leading for the 2nd time this year. The past week has certainly been a busy one, I need to find more time for writing (tomorrow I have ONE glorious day off) AND if the weather (snow) is anything to go by, I will need it! 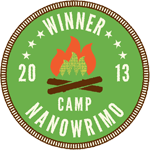 I am hoping to catch up on writing as well as sleep. Last Thursday was the first SpeakEasy of 2015, I was asked to perform and delighted to go (missed a few months at end of 2014) and love this event. 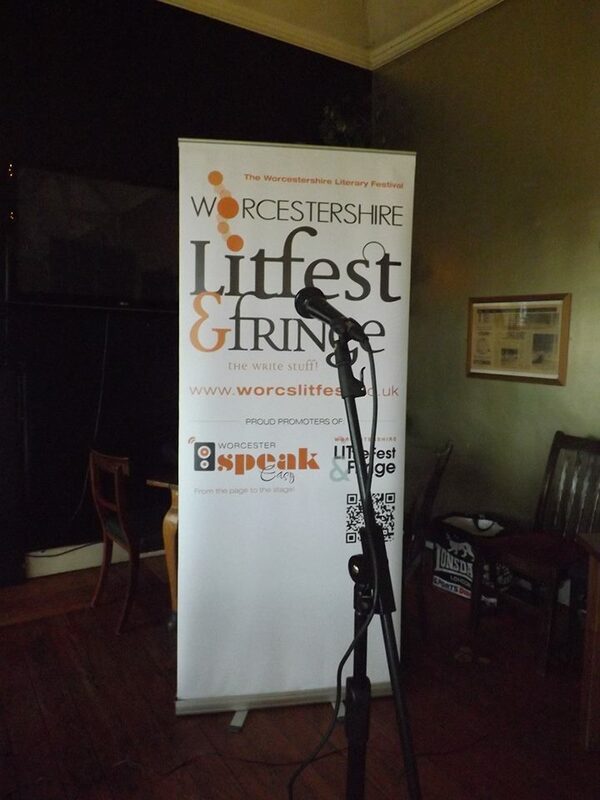 Always warm, always wonderful, organised by Worcester Litfest, hosted by Fergus McGonigal and featuring Maggie Doyle. Both Poet Laureates work hard for WLF in organising this monthly night of spoken word, poetry and fun. “Worcester SpeakEasy” is a monthly event of poetry and prose from the page and the stage (and a little music now and then), which takes place on the second Thursday of each month. 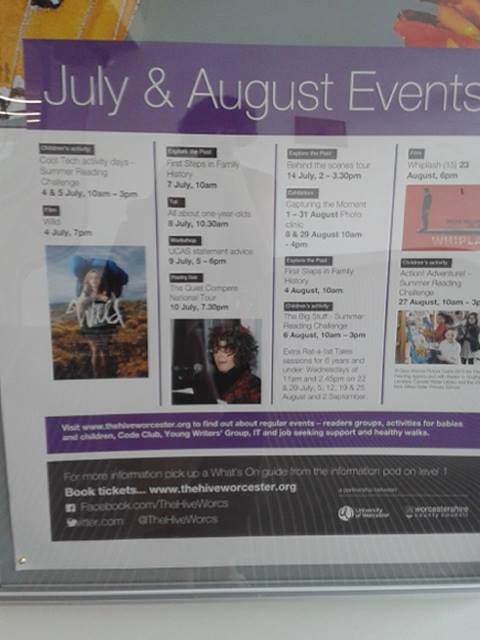 The event promotes, showcases and encourages writers from the whole of Worcestershire and further afield; there is an invited headline poet each month. This month we had a change of venue and it was a small and intimate event, packed full and over-brimming with talent and entertaining and thought provoking performances. Open mic-ers joined in with booked acts and we had not one but TWO headline acts. 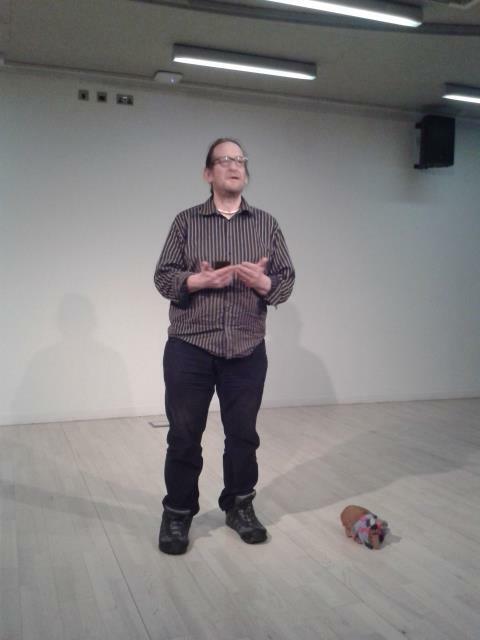 Peter Sutton – Poet – who I first came across during Worcester LitFest last summer, stunned us with his word weaving and incredibly intricate poetry and later on at the end of the night Kate Wragg treated us to a magic set, just her, her guitar and some handmade teddy bears! We all wait with baited breath for Kidderminster – The Musical. Do you remember (perhaps as a child) feeling really excited the day/night before you went away on holiday? That’s how I feel when there are back to back poetry events (which will not happen as often in 2015 as I have no plans to dominate the circuit with another 100+ gigs), I left SpeakEasy, knowing that the very next evening I would see many poets again for our monthly Stanza meetings. The next event to take place happened just this evening – a 3rd Birthday party/Anniversary for Mouth and Music and Heather Wastie and Sarah Tamar kicked off in true hardworking, inspirational style with an event called ‘Spark Off’! Heather sends press releases to the local paper to promote what’s on in the local area I was flattered by the coverage (it seemed only fair after this to let Peter’s team win)! It has been an incredible second week back on the circuit and I still have lots more to look forward to this month! To make tonight even more magical (despite not winning), we walked out to falling snow. It made the journey home for everyone slightly hazardous but SPARKED my childlike glee ignition and I happily danced out of BHG venue and twirled in the snow as I ran for the car and tried to zip my poetry collection up dry! This week there was a high proportion of time committed to earning extra Christmas money by spending more days doing the day job than anything else, which I have found exhausting. No surprise considering my tasks included; teaching 120 different children in a morning, creating modroc volcanoes, papier mache Greek masks, adjudicating and marking test papers and having two days at a school where every lesson was in a different classroom with different kids (unusual in the Primary setting). By Thursday I was asleep at 7pm and Friday wasn’t much better. Good job I have already committed to cutting back on the performance poetry scene. Although I have noticed this sudden lack of creativity and socialisation has taken a toll on the way I feel emotionally. I gain inner strength from this full diary of writing events and activities and there is something to be said for the adrenalin boost too. 2015 is going to be a year of learning ‘balance’. I had time to write – but found some projects impossible to research without internet access (how dependent we have become), our connection failed on Monday and has only just been rectified – some signalling problem they said. (Our central heating and hot water has also broken!) I did manage to complete my Wild Fire Poem for David Calcutt (from the workshop in October)! 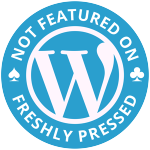 I took it to Stanza on Friday and received some editing advice which makes it even stronger. Workshop poetry doesn’t always work outside of the bubble it was created in and I think some people were finding the connections I made difficult to understand which made me worry, so I went back to the drawing board with it. I performed it yesterday at Southcart Books to an audience that included fellow workshop participants and David to a positive reception. 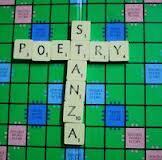 After a week at work I was looking forward to our festive Stanza meeting, my first poetry related gathering for a week. As always it was a fun evening, I love the spirit of our members, listening to high quality poetry, receiving advice from writers I trust and having time to talk, because there never is enough time to connect personally at events. Our festive Stanza Meeting included Mulled Wine, a bounty of nibbles, included gorgeous homemade cakes and a Poetry Society mug. 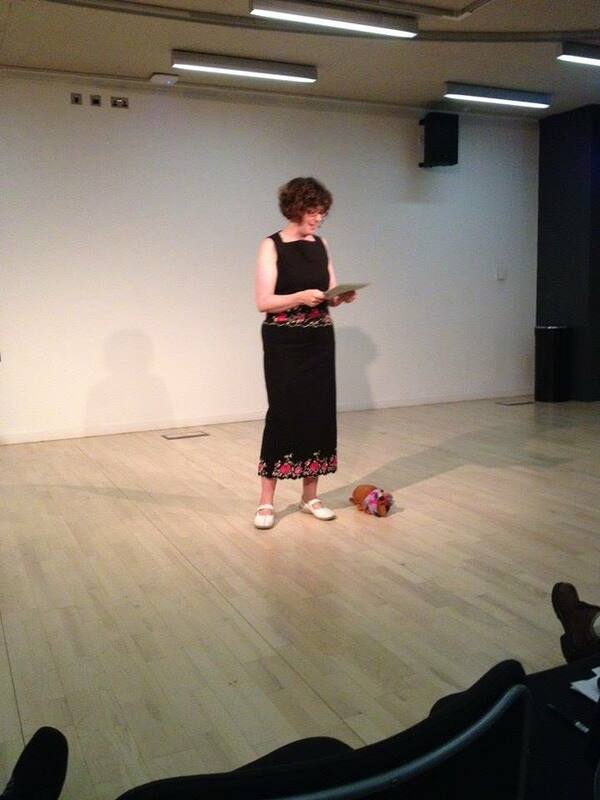 The Reading Aloud event ran from 11am – 4pm and I always knew I would never make it for the start. It was midday before I set off. I was hoping to make it in time to see the end of the morning, then I got lost. It was worth every penny of extra petrol though. 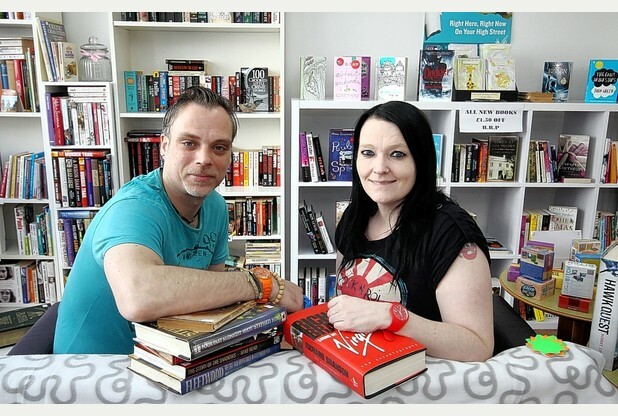 Southcart Books is a wonderful Independent Bookshop and if you are every in Walsall you should pop in for a browse, chat and buy a book or two. Scott and Amy are very enthusiastic about books and writers, there is a special warmth inside this haven. 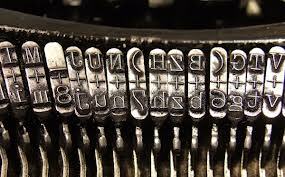 Southcart Books are the only independent bookshop in Walsall helping get the word around for local writers and artists. 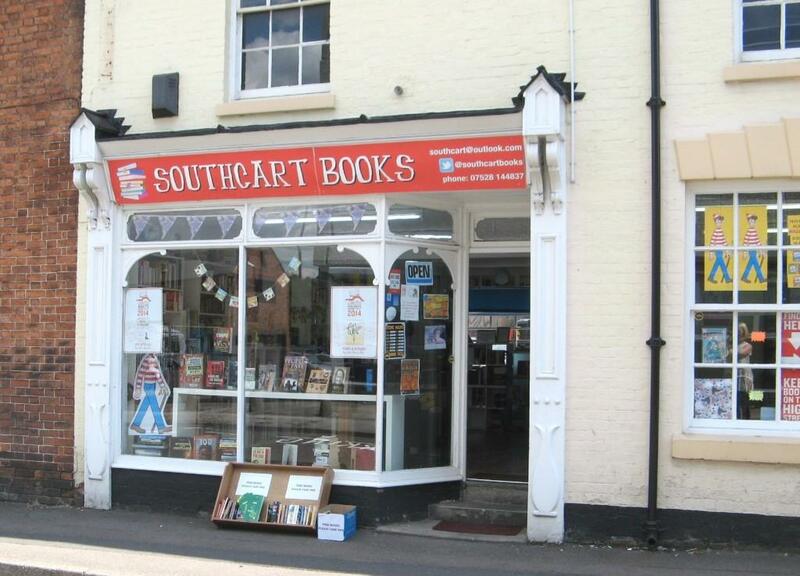 Situated in a grade 2 listed building, Southcart Books sells new, used and antique books. They hold community events such as book signings and book readings. 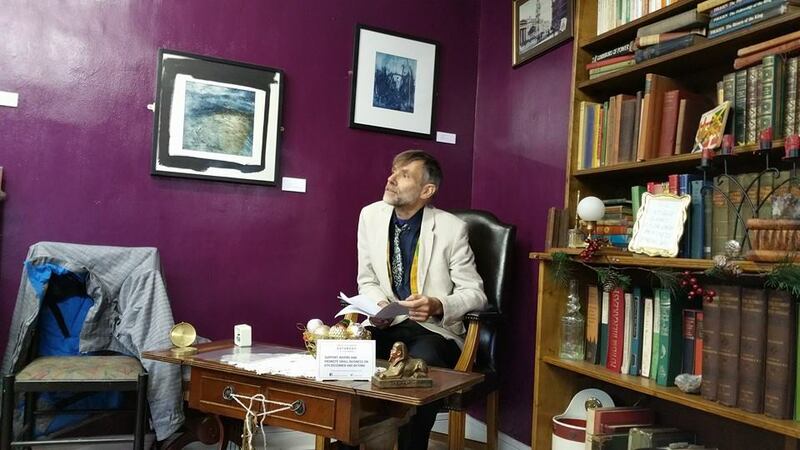 David Calcutt organised the Reading Aloud Event in support of Small Business Saturday (Nationwide) 6th December 2014. He hosted a pleasurable day of talented wordsmiths, who all took to the chair for their readings. I’ve never performed a set sitting down before, it was a new experience. I wasn’t sure what to do with my feet and I can’t say I was entirely comfortable. 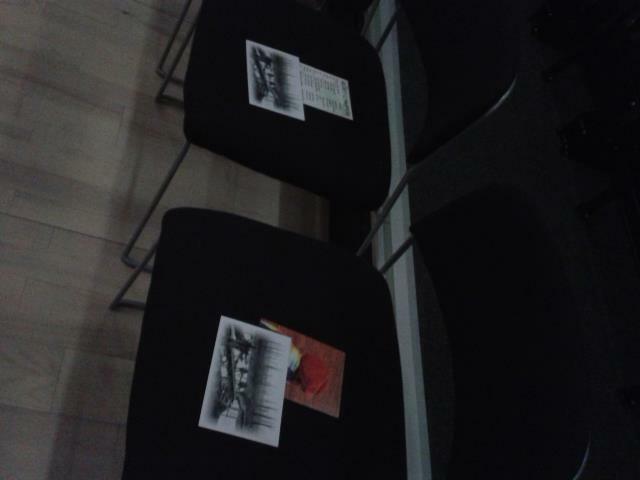 However, as an audience member it was like being invited into your own private Jackanory and I enjoyed the change. I felt absorbed by this experience and was glad I made it in time for lunch and mingling, I met a few poets I didn’t know, had time to catch up with those I do know and managed a quick browse the shelves too. I ended up treating myself to three Poetry books (my own personal Christmas presents), I look forward to reading them in the New Year. 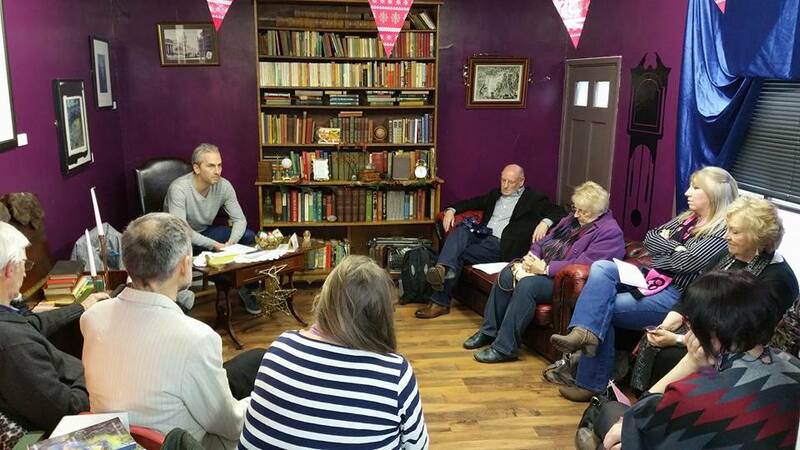 It felt a real privilege today to be host to such a diverse, talented and friendly group of writers today at Southcart Books – Martin Hughes, Ann Clarson, Janet Jenkins, Angela Nock, Jane James, Eileen Ward-Birch, Chris Fewings, Sammy Joe, Antony R Owen, Nina Lewis and Bert Flitcroft. Thank you very much to Scott Carter and Amy for hosting this and providing a comfortable and atmospheric reading space. Southcart Books is such a strong, independent bookshop. Just the place you should visit. Thank you again to all the readers. To round off the week I am typing up poems scribbled in my notebook over the past few weeks and if I have time (Mr G and I are also ‘tackling’ the house) I will be submitting some work too.